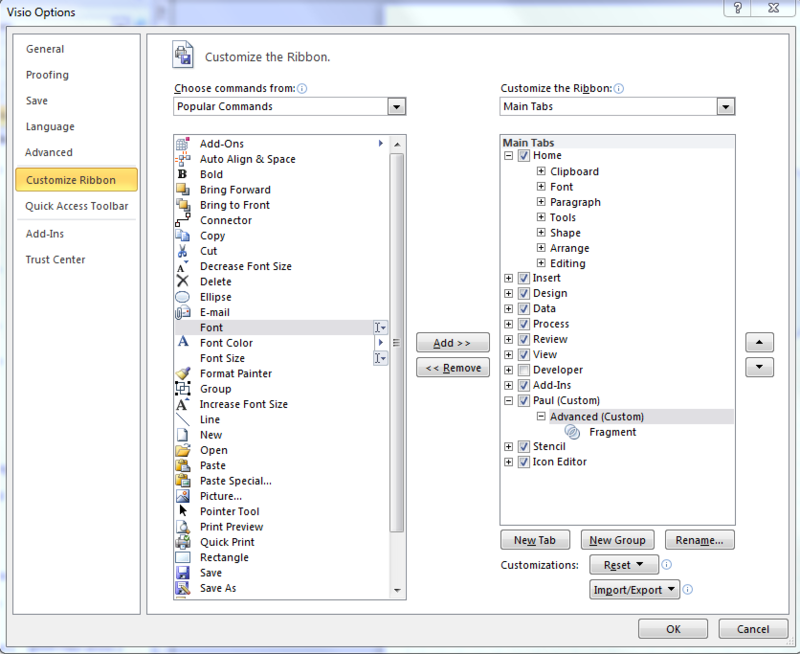 Click the little downward arrow next to undo and redo in the top left of the Visio Window. Click More Commands. Click Customize Ribbon. Click on the bottom most tab (under main tabs) –in my case this is “Icon Editor” and click New Tab. Rename the tab and the group –I called mine Paul and Advanced respectively. Now, at the top underneath “Customize the Ribbon” click “All Commands” and then locate “Fragment”. Ensure your new group is selected and click “Add > >”. 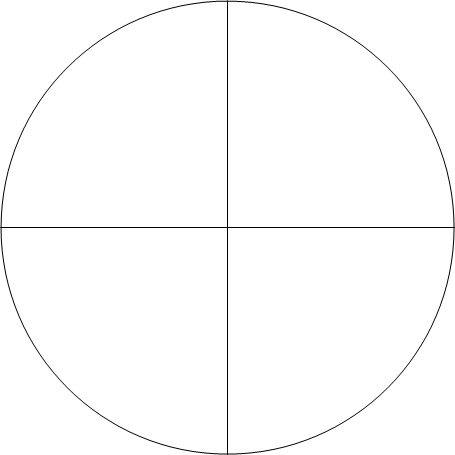 Draw a circle and dissect the circle with a straight line, e.g. 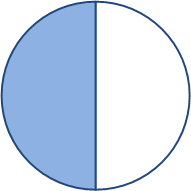 Ensure both the circle and line are selected. 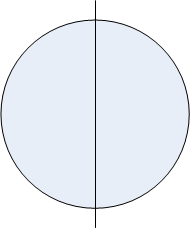 You now have two semi-circles. You can colour each now. 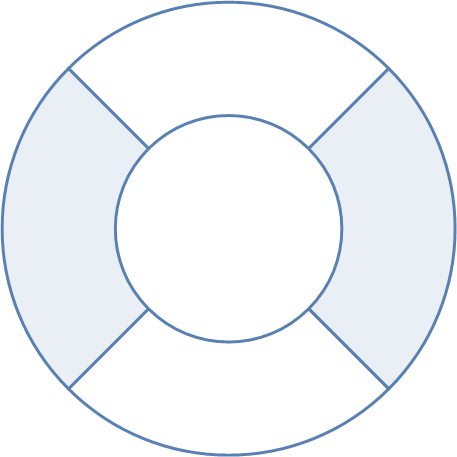 This entry was posted in Off-topic and tagged Help, Layer-8, Ribbon, Tip, Visio, Visio 2010. Bookmark the permalink. 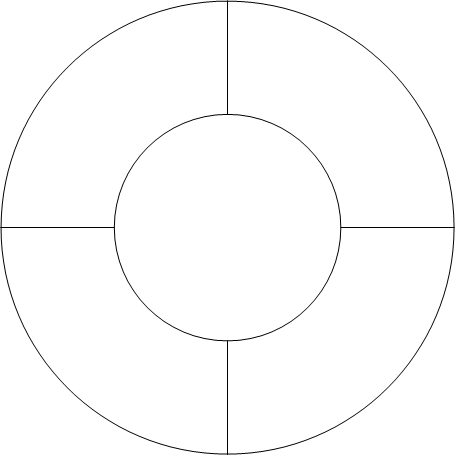 For just creating a semi-circle, there is a shape for it (Visio 2010). Took me a while to find it, though. Just search for “sector graphical” in shapes. Really useful tip. Thanks for taking the time to share. Awesome… It’s super easy to follow your tutorial and understand the concept. Thank you. It’ll help me a lot. I stumbled on this 4 years later and please accept the biggest thanks possible!! I was sure there was a way … but never found it. Thank You very much for this post! Found completely accidentally, many years after You’ve created it. I think this is one more example, that UI in the M$ Office 2003 family was far more useful in term of using advanced functions of each software from it. You were able to find some features simply by accident, digging thru the items in all menus. Ribbon interface hide this possibility very well. Sweet! Just what I needed. Thanks for posting! You have no idea how helpful this was. Yes, but where’s the command to create a four-dimensional poly-tetrahedron? Knowing MS, probably buried under “grammar correction”.